NEW YORK -- The Knicks have acquired former All-Star point guard Derrick Rose from the Bulls, the teams announced Wednesday. The Knicks trade center Robin Lopez, guard Jose Calderon and guard Jerian Grant to Chicago, which shipped guard Justin Holiday, Rose and a 2017 second-round pick back to New York. A source close to Rose said the Chicago native was very emotional about leaving his hometown team, which drafted him No. 1 overall out of Memphis in 2008, because of all his great memories there but that he wanted the big stage of New York. 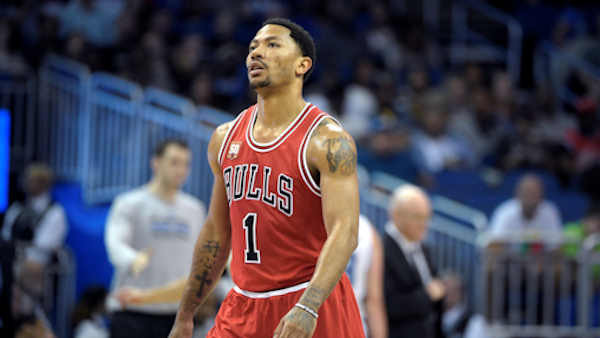 Once Rose got word the Bulls were looking to trade him, he hoped it would be to the Knicks. Rose averaged 16.4 points on 42.7 percent shooting and 4.7 assists in 66 games in 2015-16. Grant was selected 19th overall out of Notre Dame in the 2015 NBA draft. He played in 76 games as a rookie, averaging 5.6 points and 2.3 assists (eighth among first-year players). Lopez ($13.5 million), Calderon ($7.7M) and Grant ($1.6M) are owed a total of $22.8 million next season. "As we said at the end of last season, we are committed to exploring every option to improve this team," Bulls GM Gar Forman. "This trade is a significant step in that process. Our goal is to get younger and more athletic, and this trade moves us in that direction and allows us to start changing the structure of our team. In Robin Lopez, we are acquiring a starting center who is a good defender, good rebounder, and brings a toughness to our team. Jose Calderon is a proven veteran who can run an offense and knock down threes. Jerian Grant was high on our draft board last year as someone with a great skill set and positional size. All three players are great teammates and have tremendous work ethic, and we are excited to welcome them to the Chicago Bulls organization." The Bulls have scheduled a 5 p.m. ET news conference Wednesday. The Knicks will have a news conference Thursday at 6 p.m. ET.